It is exactly one year ago to the day that I left Cuba to enter the other Cuba. 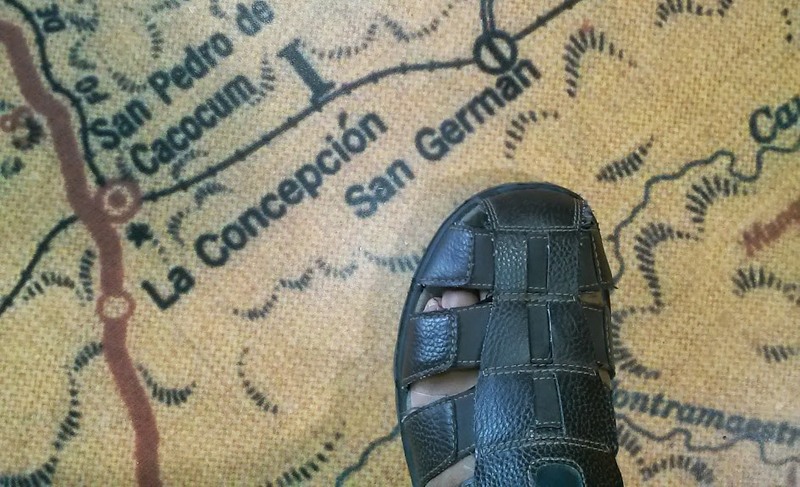 They gave me a kick, manu militari, and so I came to fall on this side of the lost country. Miami gave me the opportunity to speak in the tongue of my grandparents, to return to the preferred palate of my grandparents. I have achieved the dreams of my grandmother Maria: I drank Jupiña, I tried Materva and I ate again the guava pastries that my godfather Mayaguez used to make. In that sense the nostalgia machine is still oiled, as always. Here I have been bored since the police don’t ask me for my identity card nor do they ask for how many days I’ll stay in Little Havana. My children Malcom and Brenda don’t have to put their hands to their foreheads in each school activity and say that they want to be like Che, that Argentinian fan of multiple and foreign deaths, foreign lands, foreign women, foreign families, to live a borrowed life, to jump from melancholic guerrillas to adolescent T-shirts. My children are free because they are learning how to be. It’s been a year since I came to a country that is a lot more generous than it is described to be, from the hand of Lori Diaz and the International Rescue Committee (IRC, “Ay-Ar-Cee, how can we help you?”). I came to a Miami even more generous, where civil society is so organized that there was no need for a campaign for a foreign lady to give me the first $40 in her checkbook for the month and she treated us in a café. From the hand of Ivon, Berta, Idolidia and Mario we all went through the first and hard hurricanes of red tape and we came out sane and happy, thanks to God and to them. Miami gave me back my bicycle and a pain in my calves the first months; the bus and the fright of the next stop. Here again I published a book and read poetry without demand for political ideology affiliation, at least that’s what Idable and Armando have shown me. Miami gave me a microphone and a website so I can talk to Cuba at every second as if I was a ubiquitous man, Borgian, and I have been able to interview people from Baracoa, Puerto Padre or Jaimanitas without being afraid of the police attacking my house. For the past year I’m happy playing dominoes and war. Twelve months I’ve been lounging on Saturdays in the grass with my wife Exilda, (at Tropical Park) looking at the sky to give thanks and ask for another wish: like two children, or two fools, but happy as never before. P.S: There are other names and beautiful sunsets to mention, but no thanks. A Cyber Cafe in Cuba? No chance. Illustration: photomontage The Singularity of the Island. Under the heading “Protect Internet Cafes in Cuba. 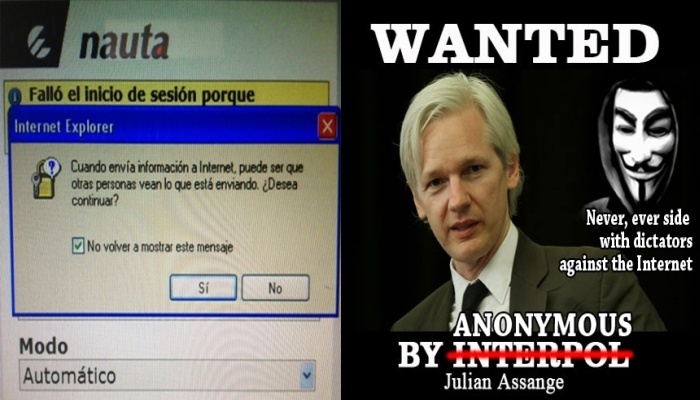 Julian Assange Bungles It,” the website http://www.lasingularidad.com offers good advice for Cuban citizens and digital non-conformists wanting to get around censorship restrictions. Every time that I receive questions from activists in Cuba about the internet browser rooms, I never tire of repeating the phrase “Begone, Satan”, “Good riddance”, “Take them winter wind”, or any other interjection I can think of at that moment to make it clear that they should run as though from the devil himself. Like moths to a flame, they are designed to attract the unwary, who are bedazzled by its radiance. The Cuban regime took its time designing these “booby traps” and — in what it considers a masterful sleight-of-hand — is attempting to make itself look good in the eyes of the modern world, which increasingly considers internet access to be a basic human right. In fact, it has already reaped some rewards this week by successfully recruiting a “figure” of no less international stature than Julian Assange to proselytize politically on behalf of the Cuban regime. This is a completely surreal and incomprehensible development since, supposedly, the hacker’s code of ethics mandates fighting for free access to information. His support for one of the world’s most repressive communist dictatorships — one known for restricting access to the free flow of ideas on the internet — is a senseless action that will very probably cause Assange to lose face in the eyes of the hackers who support him. Will Assange turn out to be one of those typical useful, misinformed fools or an opportunist looking for free vacations in the Caribbean? Whatever the answer, the betrayal of the ideals of hackers like Anonymous will not go unnoticed. Why is Nauta a trap? 2 – Total lack of security, privacy and basic functionality. To be able to buy a Nauta card, users have to display their identity cards. Their names, addresses and surnames, together with the identification code of the cards sold, are registered in a database. In this same database all their activity is stored: the sites they visit, passwords they enter, screen captures and general captures of all that they type (keyloggers). The computers available are in fact thin clients* running a modified and highly restricted version of Windows Xp, an operating system so antiquated that it will soon be discontinued by Microsoft, which will no longer issue updates for it. It is not permitted to right click with the mouse. This reduces functionality for those who are used to cutting and pasting text using menus and eliminates all the information that right clicking in Windows provides. Hint: You can use the keyboard shortcuts ctrl+C to copy, ctrl+X to cut and ctrl+V to paste. It is not permitted to run any programme from USB memory sticks. It is not permitted to run any programme from command lines (CMD.exe). Task Manager is disabled, the Ctrl + Alt + Del and don’t even dream of administrator access in order to install some program that you may need. The number one rule is : If you can avoid it, DO NOT USE IT. In Cuba, there are many other alternatives: Access from work centers, much less restrictive network dial-up access, illegal accounts shared by foreigners, friends who can send your emails as a favor, and of course access to offline internet content like the Web Packets Weekly Mulitmedia Packets that reign across the island. 1. Use disposable email accounts, ask your contacts to do the same if possible. The value of your messages lies not only in their contents but also in those to whom they are directed and from whom and from where you receive them (Metadata). Never use your name or personal information to create an email account or to search websites on the Internet. If you use false data and a fake name it will be much more difficult for government analysts or their spy programs to determine if your mail or user profile is worth the effort of analyzing. These spy programs are used by almost all governments, including the United States and, of course, Cuba. 3. Mask your messages by excess information. For example, began your email with several paragraphs of weighty poems and by prior agreement let your recipient know in which paragraph will be the true message. The poor analyst that has to read your email will simply go to the next when he sees your long poem. The idea is to make his work difficult all the time. Remember to mask words as explained above. 4. Be aware that everything that you type and capture on-screen is being recorded on your user profile. If you are forced to use a personal password, mask it with random fillers that you will then remove with the mouse and the Delete key. For example, if your password is “freecuba123,” write “iwantfreecub123456.” Then select “iwant” and “456” with your mouse and hit delete. This is not 100% safe with advanced keyloggers but it will make it hard for the analyst who is watching your information to discover which is the true password. There exists no completely secure protection in the world of information nor in the real one. It is like protecting your home: the more difficult you make it for the thief, the less likely your house will be the one in the neighborhood that gets hit. 5. Use PHP proxies for accessing web pages whose navigation is censored and that you do not want to be kept in your navigation history. Write on Google: “php proxy list” to access web pages that keep lists of proxies that constantly change in order to prevent them from being blocked. 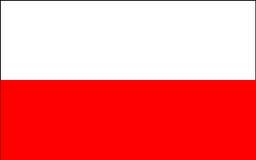 These proxies will permit you to navigate as if your were in another country and will hide the website addresses that you visit. Nevertheless, remember that your screen is being recorded and if you do something that calls attention they might check your user profile. 6. Https is your friend. Always prefer web pages in which the URL or address begins with https. 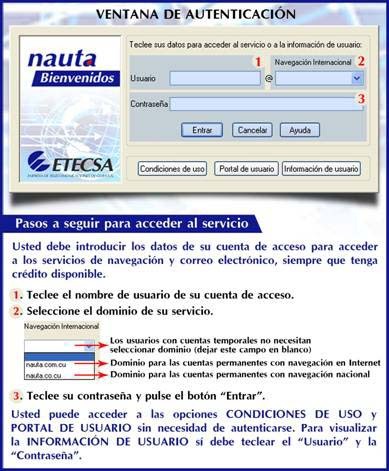 This means that all traffic between your navigator and the web page server is automatically encrypted in a secure way, hence the letter “s.” However, remember that what you type is being recorded so you cannot stop using the tricks listed above or better still, if you can avoid it, do not enter your search information on any page from Nauta. If you have other ideas and suggestions for the protection of privacy and security of users in browser rooms in Cuba, write them in the comments below. *Translator’s note: Computers or computer programmes which depend heavily on other computers (their servers) to fulfill their computational roles.